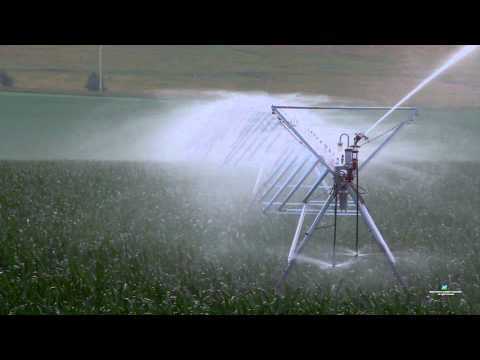 For over 4 decades, Nelson Irrigation has been manufacturing "THE ORIGINAL" BIG GUN® SPRINKLER. 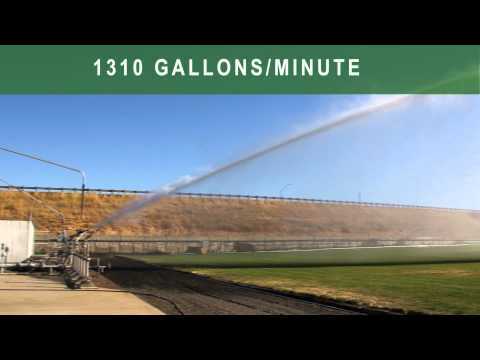 In the field of large-volume sprinklers, Nelson is recognized the world over as the leader in quality, performance, and technical support, and our Big Gun Sprinklers are engineered and manufactured with precision for reliability and long life. Every Nelson Big Gun is subjected to the toughest inspection testing and quality control standards in the industry — including individual water testing at the factory. Nelson pioneered the concept of a slow, steady, and uniform forward and reverse drive action, and the Big Gun’s drive vane automatically compensates through a full range of nozzle sizes and pressures. A simple, reliable adjustment allows you to set the arc to within 1 degree without overriding the stops; a setting that will not change over time, as proven by years of use in the field.